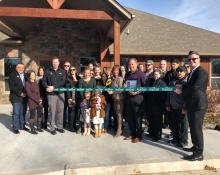 Rhea Lana’s of Edmond held a ribbon cutting with the Edmond Chamber to celebrate their grand opening. 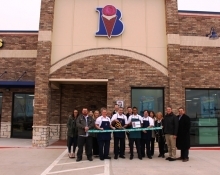 Braum’s held a ribbon cutting with the Edmond Chamber on Tuesday, February 6th to celebrate their Grand Opening at their newest location: 2624 Market Street Edmond, OK 73034. Okie Kids Playground held a ribbon cutting to celebrate the grand opening of its new location: 321 W 15th Street Edmond, 73013. 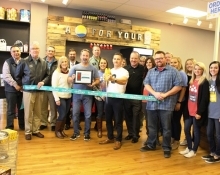 Energetic Wellness held a ribbon cutting to celebrate their 1-year anniversary at its location: 2851 W Edmond Rd. Edmond, OK 73012. 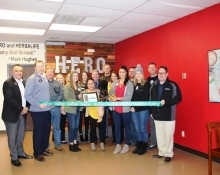 Hero Nutrition held a ribbon cutting on Monday, January 8th to celebrate the grand opening of their new Edmond location at 1902 E. 2nd Street. 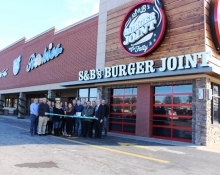 S&B Burger Joint held a ribbon cutting on Thursday, January 4th to celebrate the grand opening of their new Edmond location at 840 W. Danforth Road. Oklahoma Gourmet Popcorn held a ribbon cutting on Friday, December 8th to celebrate their Edmond location’s grand opening! 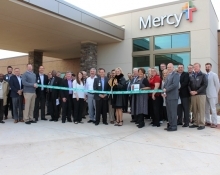 Mercy Clinic on Portland held a ribbon cutting on Tuesday, December 5th! 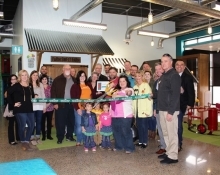 Signarama of Edmond held a ribbon cutting on Friday, December 1st to celebrate the grand opening of their new Edmond location! 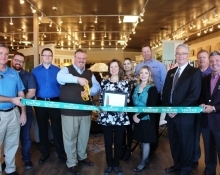 Traditions, an interior design and furnishings showroom, held a ribbon cutting on Wednesday, November 15th to celebrate the grand opening of their new location!